Seoul Station (Seoul Subway Line1, 4). Take train heading to Jeongseon. From Jeongseon Station, take a bus heading to Auraji. 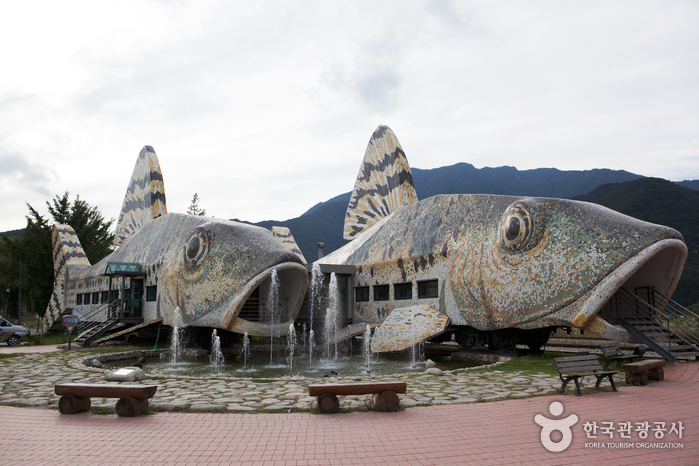 Auraji is a train station on the Jeongseon line located in Gangwondo. It is about 19.4 km away from Jengsoen-eup, and is the meeting place of two streams, the Songcheon stream from Gujeolli and Imgyemyeon’s Goljicheon stream, which flows down from Samcheok’s Jungbongsan. The name of the station, Auraji, comes from the verb eoureuda, meaning “be in harmony” in Korean. 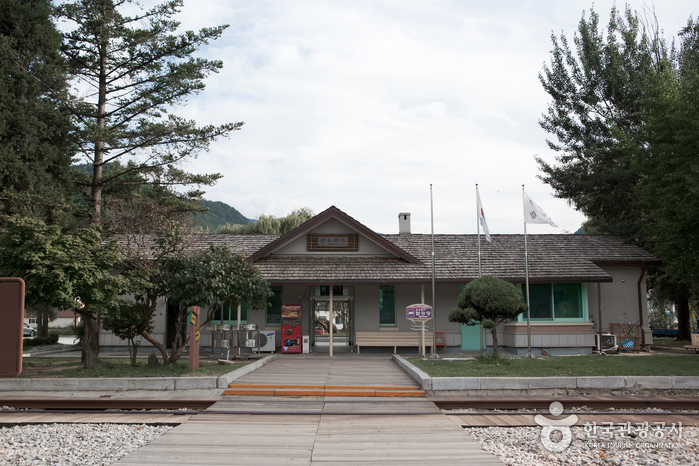 Auraji Station was once named after the region, Yeoryang, but was changed to Auraji, which describes the unique geographical features of the village. The area where the two streams meet and become a river became a bustling business zone in the past, where rafts were floated with lumber all the way to Seoul. It is quite a sight looking at the beautiful scenery enveloped by the crystal clear water and pebbles on the riverside surrounded by Nuchusan, Sangwonsan, Okgapsan, Goyangsan, Ballonsan, and the Wangjaesan Mountains. At the confluence of these two streams, a statue of Virgin Auraji and a newly built pavilion rest on a hill in the middle of the peaceful landscape. There are also rail bikes being operated at this station, which run 7.2 km from Gujeolli Station to Auraji Station. Notably, this is the birthplace of Jeongseon Arirang – Aejeongpyeon. “Rower in Auraji, listen to me, please let me cross the river. Beautiful camellia petals in Ssarigol Valley are scattered around. The beautiful camellia shed its petals and piled up with dead leaves. 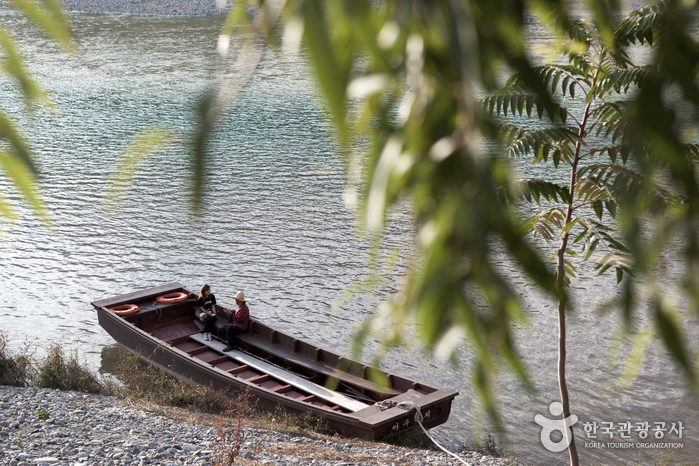 The old rafts still remain in Gageum Village (also known as Gagumi) and Yeoryang village. A camp site of about 2,000 square meters is open in the months of July and August each year. Many tourist sites are nearby, such as Ojangpokpo Waterfall, Hanggolgyegok Valley, Hwaamdonggul Cave, Hwaamyaksuteo Mineral Spring and others. 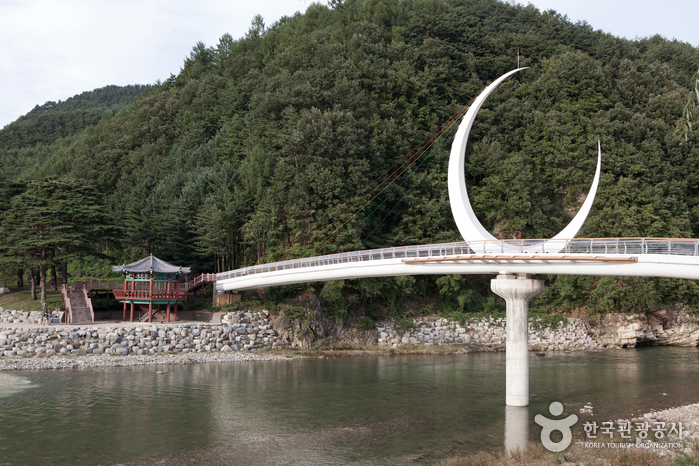 Intercity buses operate from Jeongseon, Yeoryang and on to Gujeolli. 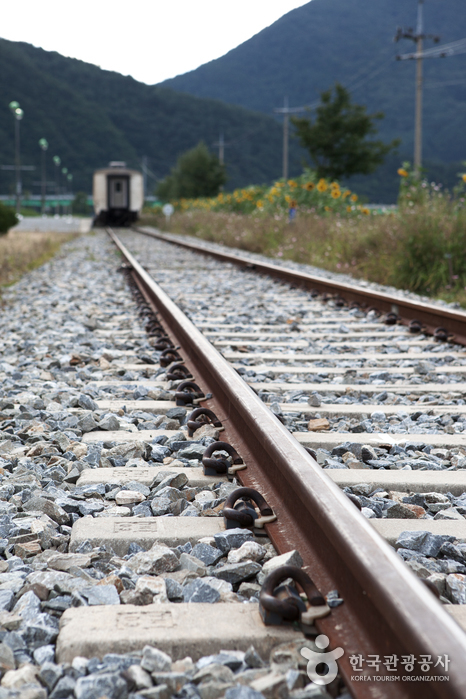 From April to November, trains run from Cheongnyangni Station to Jeongseon station on days ending with the number 2 and 7 (ie. 2, 7, 12, 17).